Next week we will know what Gundam creator Yoshiyuki Tomino has been up to with Hollywood's Legacy Effects. Mobile Suit Gundam creator Yoshiyuki Tomino will announce his first film project on Jan. 21 in a press conference. Working with Hollywood special effects studio Legacy Effects, Tomino plans to make "movies based on Japanese manga and animation from Hollywood to the world." 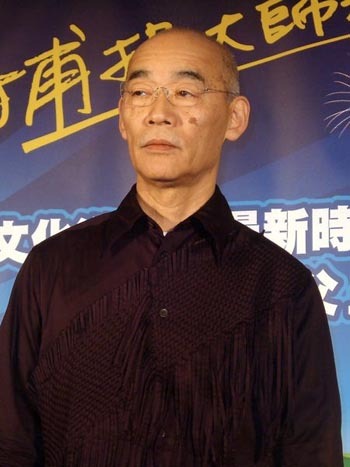 Tomino pioneered the mecha franchise Gundam, directing the first in the series, Mobile Suit Gundam in 1979. More recently, Tomino has worked on Brain Powerd, Turn A Gundam, Overman King Gainer, and The Wings of Rean. Many people are familiar with Legacy Effects' work without realizing it. Originally named Stan Wintson Studio after special effects supervisor Stan Wintson (Terminator, Jurassic Park, Aliens), Legacy Effects has more recently worked on Avatar, The Avengers, The Hunger Games, Iron Man 3, and Pacific Rim. Fans of both anime and Pacific Rim were quick to notice similarities between the movie and mecha anime series. Meanwhile Tomino has been working on a much-anticipated anime, codenamed "G-Reko," with Bandai for Gundam's 35th anniversary. There's a lot to expect from the person who took the "Super Robot" mecha genre and transformed it into the "Real Robot" genre with overarching stories as opposed to the "monster of the week" structure. While no one knows what movie Tomino has been working on, it's possible it's a live-action adaptation of an anime he was involved in. Hollywood is not known for diversity, but hopefully Tomino's goal of making Japanese media-inspired films for the world will go unhindered.